Here's a new phenomenon this trip - scavenger cats. 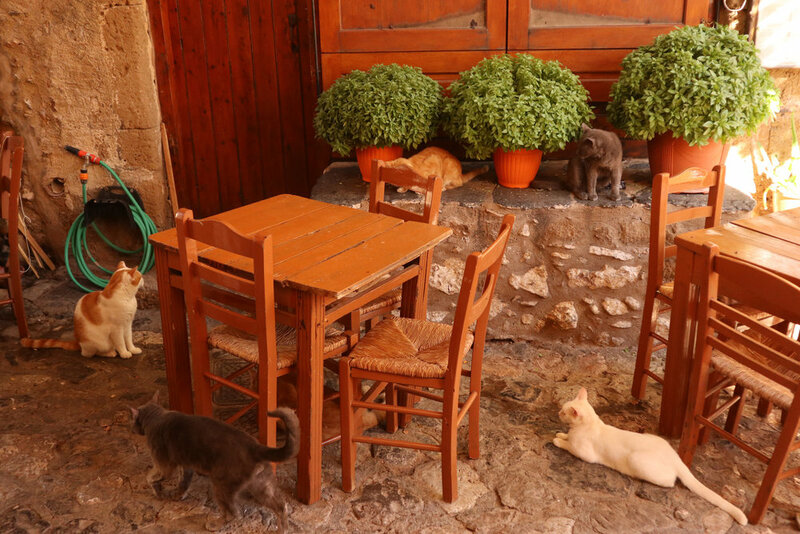 Sit down for dinner in a Peloponnese taverna and within a few minutes you are joined by stray cats. Sometimes it's one or two - though there have been up to seven or eight around our table on occasions. Skinny and nervous, though not noticeably injured or battered, they are out to beg, steal or borrow food from your plate. It's not just in restaurants you see stray cats - they are everywhere. Kittens playing in abandoned buildings, adults sleeping in sunny corners. Every municipal rubbish bin has a moggy or two searching for dinner. 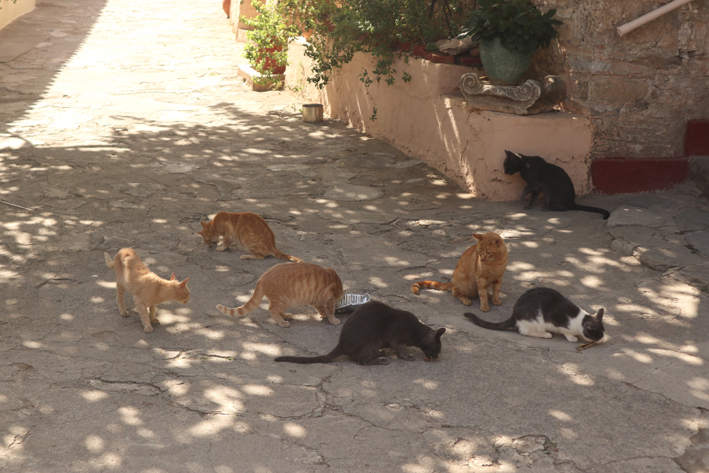 At the wonderful ruined city of Mystra I met a soft-hearted Australian woman going around Greece giving money to officials at tourist sites to buy cat food for the inevitable strays. Yeh right, I thought. 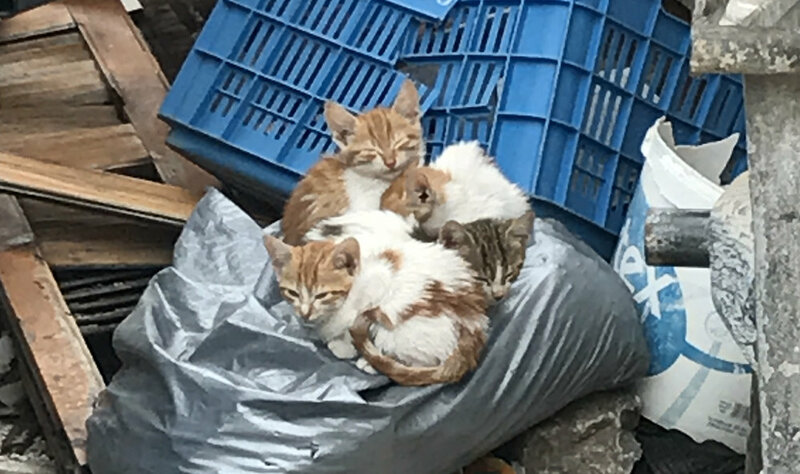 Still, I suppose some of those Greek ticket sellers may just have done it - you sometimes see old Greek ladies hobbling around putting cat biscuits on random walls; other times you come across someone's dinner leftovers piled in the street for the strays. It's kinda cute, although I can't help but think that a concentrated de-sexing programme might be good for everyone involved. Because the other thing very noticeable in this part of the world is the absence of birds. You don't see seagulls or pigeons; you hardly see sparrows, let alone anything more glamorous or colourful. I can't say for certain why, but I might hazard a guess it's a legacy of generations of hungry stray cats.